In 2007, Stephanie Costello had a boring office job with a lot of downtime that she spent online. She recalls the day she read one of those articles on MSN.com that have become a staple of the Internet: how to make extra money online. These types of articles often appear in the soft-news sections of MSN, Yahoo and other sites, usually with the message that there is money being left on the table. Costello was intrigued at the prospect of cutting through the boredom of her day with the opportunity to pick up a little extra cash. She went to the website, Mechanical Turk, where companies can post tiny tasks and workers can find and perform them online. It was free to register—no call for an “investment” up front, which indicated that it was not on its face a scam. And she began making money immediately. Very small amounts of money. Costello is a trailblazer of sorts. She was one of the early workers to join Mechanical Turk, the first online, crowd-based, micro-labor platform. In her telling, she sounds like an alcoholic describing her first drink. It was fun at first—and when it became less than fun, it was still useful, if only to get through the week. But six years later, it has become a serious problem, and not just for Costello. Mechanical Turk is the innovation behind “crowdworking,” the low-wage virtual labor phenomenon that has reinvented piecework for the digital age. Created by Amazon in 2005, it remains one of the central platforms—markets, really—where crowd-based labor is bought and sold. As many as 500,000 “crowdworkers” power the Mechanical Turk machine, while millions more (no one knows how many exactly) fuel competitor sites like CrowdFlower, Clickworker, CloudCrowd and dozens of smaller ones. On any given day, at any given minute, these workers perform millions of tiny tasks for companies both vast (think Twitter) and humble. Though few of these people have any sense of their finished work product, what they’re doing is helping to power the parts of the Internet that most of us take for granted. Currently, computers are very good at certain sorts of tasks, such as identifying spelling errors, processing raw data and calculating financial figures. However, they are less able to perform others, such as detecting a positive or negative bias in an article, recognizing irony, accurately reading the text off a photograph of a building, determining if something is NSFW (not safe for work) or discerning among ambiguous search results. This is where the “crowd” comes in. In the current iteration of crowdworking, individuals are tasked with those parts of a job that a computer cannot perform. This work is used both to fill in the blanks and to train the computer algorithm to do a better job in the future. But if you happen to be a low-end worker doing the Internet’s grunt work, a different vision arises. According to critics, Amazon’s Mechanical Turk may have created the most unregulated labor marketplace that has ever existed. Inside the machine, there is an overabundance of labor, extreme competition among workers, monotonous and repetitive work, exceedingly low pay and a great deal of scamming. In this virtual world, the disparities of power in employment relationships are magnified many times over, and the New Deal may as well have never happened. Amazon created Mechanical Turk in 2005, a decade into its rise from online bookstore to massive virtual mall. 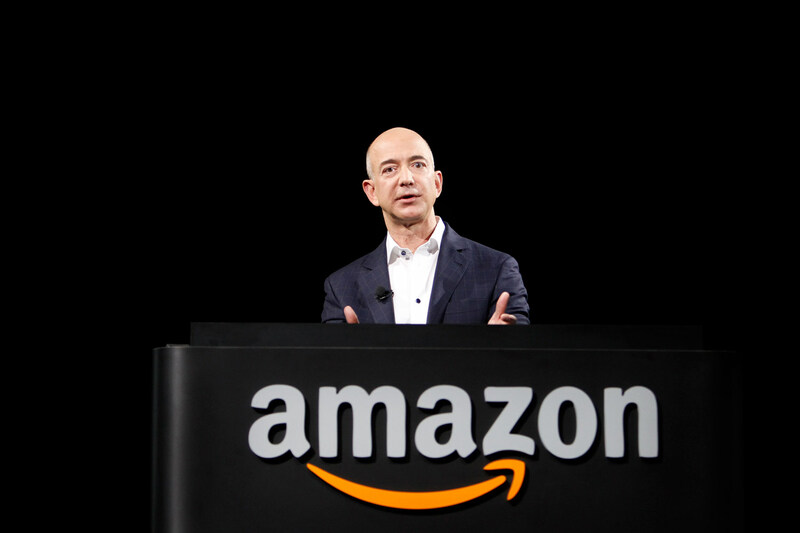 Even in its early stages, Mechanical Turk was a “Jeff project,” meaning that Amazon CEO Jeff Bezos took a special interest in it and worked closely with the project managers. By that time, Bezos and his team had already perfected the model that has made Amazon a tech-age giant: catering to customers, undercutting competitors and treating workers poorly. With Mechanical Turk, they further refined this approach, but with a twist: instead of exploiting labor to sell goods to an avid public, they created a system to sell labor itself, cheaply, to perform many millions of microtasks. The name Mechanical Turk was not simply a whimsical choice by Bezos. The original Mechanical Turk (also known simply as “the Turk”) was a seemingly groundbreaking invention: a chess-playing machine commissioned by the Empress Maria Theresa of Austria in the early days of the Industrial Revolution. In appearance, it was similar to the other automatons of the era—a cabinet with a mannequin inside, performing some function usually reserved for humans—but this one was dressed in “Oriental” garb, not unlike the fortune-telling machine in the 1980s movie Big. Its mystical, mysterious air was meant to appeal to Western Europe’s conception of the East; hence the name by which it came to be known. The Mechanical Turk seemed to promise an age when automated devices could attain the heights of human intellectual achievement—and it did so exceptionally well, convincing observers and challengers for nearly a century that a machine could play chess. In reality, however, the Turk was nothing more than an elaborate ruse involving a man or woman sitting inside the cabinet with an internal chessboard. The machine could approximate the movements of a man playing chess, but it was necessary to have a person inside to do what the machine could not. If it was merely a hoax, then the Mechanical Turk would have been forgotten as yet another eighteenth-century oddity. However, the device fit perfectly into the creeping belief—replete with excitement and anxiety—that mechanical labor (and maybe mechanical minds) could replace human labor and agency. The United States has been going through a similar period of excitement and anxiety since at least the 1970s. Whereas some companies, like IBM, have sought to create a supercomputer that can think as well as (or better than) a human, Amazon invested instead in its own Mechanical Turk—something that feels like a machine but really has people behind it. Instead of developing the perfect computer, Amazon thought, it could just develop a way for imperfect computers to “integrate a network of humans directly into their processes,” as the company wrote in its 2005 SEC filing. In doing so, it opened the door to the weird world of crowdworking. Almost a century later, Amazon hit upon a similar approach to worker productivity. Yet, whereas Taylor’s genius was in super-charging the assembly line by reducing all skilled work to tiny micro-tasks, the genius of Mechanical Turk is in creating virtual assembly lines. Here’s how it works: the employers (called “Requesters”) can be actual humans or a computer program running a script that automatically outsources any task it cannot perform to the crowd. The Requesters place microtasks (called “Human Intelligence Tasks,” or HITs) on Amazon’s Mechanical Turk website and offer non-negotiable contracts with a take-it-or-leave-it rate for each HIT. The Turkers (officially called “Providers”) perform only small microtasks over and over, rarely getting a glimpse of the whole. Using keyword searches for HITs, New York University professor Panagiotis Ipeirotis found that among the most numerous HITs were data collection, transcription, searches, tagging, content review, categorization and other similar tasks. However, HITs can be any task that can be outsourced online. Many of the features of the Internet that we take for granted come from paid crowdworking. These include more efficient search results, transcriptions of audio and video, reliable local business information, marketing spam and other aspects of the Internet that just seem to be there. Crowdworkers also engage in tasks that can make certain individuals’ lives immeasurably better, such as providing near-instantaneous information on their surroundings for blind people with a smartphone and the right app. A HIT typically includes a set of instructions, some quite involved, that one must read and understand before performing the task. The Requesters can set eligibility requirements. For example, they may restrict access to those with “Master Qualifications”—a designation Amazon awards at its discretion—that some have received after performing at least 50,000 HITs at an exceptionally high approval rate. Or the Requester may exclude certain workers, such as those from India, because in the world of online crowdworking, they are thought of as inferior workers. Requesters can engage in such broad exclusions because the Civil Rights Act does not touch upon these workers. In fact, most of the hard-won worker protections of the twentieth century do not apply to Turkers. Some critics worry that even prohibitions on child labor are being flouted. This is because it is not clear how well some sites enforce requirements that users must be over 18 to perform HITs. Moreover, many crowdworkers are paid in gaming credits, which may be used to intentionally lure children into performing cheap labor. The payment offered for HITs ranges from nothing to a few dollars to payment in virtual currencies, with most HITs falling on the low end of the scale. As a result, it is estimated that the average wage of Turkers is approximately $2 an hour. For access to this unregulated labor pool, Amazon charges a 10 percent commission from the Requesters. Crowdwork often takes place in the home, performed by people who are not otherwise employed. A few have argued that the low pay may be the result of longstanding gender inequities in society. The great majority of American Turkers are women, and there is some indication that many of them are careworkers, or caring for an elderly relative or young child. Rachael Jones of Minnesota is an example of a careworker who Turks. She was trained to assist neurosurgeons, but after a neck injury and surgery, she could no longer work in that physically demanding field. In addition, Jones wanted to stay home and take care of her children while her partner worked outside the home. She is now a “very full-time” Turker and, after several years during which she earned three Masters Qualifications and performed 110,000 HITs, she has been able to make approximately $8 per hour. When asked for her thoughts on Turking, she responded, “I really love it.” She admits that “there are some times when it’s really hard, and you’re scrounging and looking and the HITs that pay just aren’t there.” She’d like the pay to be increased, but she also fears that any significant increase could destroy the world of crowdworking. If that were to happen, she is unsure what type of work she could do that would allow her to stay home with her children. Aside from the handful of companies that run crowdworking platforms, no one really knows who makes up the crowd. The most recent study of Turker demographics, in 2010, found that the vast majority of Turkers— 57 percent—were American, with Indians coming in second with 32 percent of the workforce. American Turkers tended to be highly educated, with 63 percent having college degrees, compared with the national average of 25 percent. They were young, with a median age of 30, and 69 percent were female. The crowd labor pool has grown considerably since Amazon created the platform, and the extreme low-wage market seems to rely on competition among the overabundance of workers. The reasons people engage in Turking are varied. Several years ago, Ipeirotis posted the question as a HIT on the Mechanical Turk site and received responses as varied as “It kills time when I’m bored and restless” to the need for income to get by. One person I spoke with explained that he Turked just enough each day at his office job to pay for a sandwich from Subway. However, there is a sizable group of workers who have come to rely on Mechanical Turk as their primary source of income. According to the limited Turker demographics available, Stephanie Costello’s story is all too common. Costello lives in a trailer at the edge of a desert town in the Southwest. She is 50 and has an associate’s degree in nursing, but she has been unable to find suitable work as a nurse. In 2007, Costello was working at a boring office job and, in slow periods, earning extra money by doing online surveys on Mechanical Turk. When she lost her job at the start of the 2008 recession, she took to Turking full time, often more. What started as a source of extra cash suddenly turned into her main source of income. According to the 2010 study, Costello’s situation may be representative of approximately one in eight Turkers in America, or one in five worldwide. Costello describes full-time Turking as “feast or famine,” but years of Turking have diminished her view of the feast. In February 2013, she worked approximately sixty hours a week searching for and performing HITs and made approximately $150 per week—and that was the feast. The next month, she was unable to find as many “good-paying” HITs and earned only about $50 per week. She describes how she often stays up all night with the Mechanical Turk screen open, because when people post a good batch of HITs, they go quickly. “Good-paying” has become a relative term. Costello refuses to work for 60 cents or even $1.20 an hour because those low amounts are “more undignified than begging.” However, at $2 per hour she starts to equivocate, and she admits that she often works for that wage. Even those who describe making decent money usually talk about earning $6 per hour, which is still below the federal minimum wage. Costello’s story of being a full-time Turker who is barely holding on is all too familiar in the world of crowdworkers. However, Costello believes that Turking may one day change for the better, especially with worker organization. Others, like Laura Henderson (a pseudonym to protect her privacy), see no way out. Until 2004, Henderson had a career as a technical trainer in the Pacific Northwest. When that work dried up, she got her bachelor’s degree and joined Teach for America, which assigned her to teach math at a school in New York’s South Bronx. Henderson was assigned to the school midway through the year to replace a beloved teacher and had problems right away. She lost her job and found herself alone in a new city, in debt from the TFA experience and in search of yet another career. When I first interviewed her, Henderson was renting a small room in the Bronx and described herself as “poor and despondent.” In addition to her earnings as a crowdworker, she received $200 a month in food stamps and $180 a month in welfare. She was too poor to maintain a bank account, so she had to spend her Mechanical Turk earnings on Amazon, which she called “the company store.” She was not unaware of the cruel irony that her supplies were likely handled by an exploited worker in an Amazon warehouse somewhere. Henderson described being scammed as a relatively common occurrence. Requesters get to keep the work product whether they officially “accept” or “reject” the work. As a result, many Turkers have complained of being denied payment through no fault of their own. Henderson then filed complaints with the Better Business Bureau, the Federal Trade Commission, the Office of the New York Attorney General and anyone else she thought might have jurisdiction over the matter. However, because it is often impossible to know the identity of a given Requester, Henderson also went after Amazon. In a long response from Amazon’s attorneys, the company explained that it has no legal responsibility for Henderson not being paid the minimum wage, or even not being paid at all for a completed task. The letter describes Amazon’s role as merely creating a marketplace and allowing Requesters and Turkers to contract freely. The letter states that Amazon does not resolve disputes between the parties and provides no warranties; it also maintains that the company is released from all liabilities when each party checks the box assenting to the participation agreement. The New York Attorney General’s Office forwarded the letter to Henderson and said there was nothing it could do at the present time. Lilly Irani takes issue with Amazon’s description of its role in the marketplace. She is one of the developers, along with Six Silberman, of Turkopticon, an Internet browser plug-in and forum that allows Turkers to rate Requesters and exchange important information about them in order to “REPORT and AVOID shady employers.” Irani argues that one of the fundamental problems with Mechanical Turk and other crowdworking sites is that they are not neutral market-places, as the sites claim, but are built on an inherently exploitative model that privileges employers. One example is the way the Turker has no leverage in the employment relationship—an imbalance that is particularly pronounced in the set-up that allows a Requester either to “accept” or “reject” a Turker’s work. These terms belong in quotation marks because, as mentioned earlier, the Requester sees and retains the work product no matter which choice it makes. If the Requester “accepts” the work, then it gets to keep the work product and pays the Turker. If the Requester “rejects” the work, then it gets to keep the work product without paying the Turker. The Requester does not have to provide a reason for the rejection, and there is nothing a Turker can do to challenge the decision other than to inquire and hope for a response. Out of this grind, online forums and worker sites such as Turkopticon, TurkerNation, mturkforum, CloudMeBaby and Reddit have become the primary locations for the crowdworkforce to talk about their working conditions. However, the anonymity of Turking combined with the sharp edge of the Internet have often made these forums as counterproductive to organizing as they are productive in navigating the world of crowdwork. TurkerNation is one of the oldest forums, and many Turkers have complained about being arbitrarily banned from the site at the whim of the moderator, Spamgirl. (Full disclosure: in researching this article, I was banned from the site shortly after joining.) Spamgirl has described herself as “the Hoffa of the Turkers! Trying to help the people.” She allowed a thread about Turkopticon, then in its early stages, to be hosted on the site before taking it down for unknown reasons. Rachael Jones describes being banned for getting into a Twitter tangle with a TurkerNation moderator. Some well-intentioned reformers envision magnanimous employers as the sole source of changes that will make crowdworkers’ lives better. This view was on full display at a conference last year when eight prominent researchers delivered an important paper titled “The Future of Crowd Work,” framed around the question, “Can we foresee a future crowd workplace in which we would want our children to participate?” Of the many ideas that came out of this paper, none included any type of worker self-help or organization. That view is currently being challenged in what may turn out to be a seminal class-action lawsuit filed in federal court in California. Christopher Otey and Mary Greth, on behalf of themselves and “the World’s Largest Workforce,” are arguing that crowdworkers are not simply contractors, but employees of the crowdworking company. Otey and Greth performed “simple repetitive online tasks for the benefit of CrowdFlower.” For their efforts, they were paid less than the $2 to $3 per hour that the CEO of CrowdFlower has stated his workers make. Otey and Greth allege that workers earn between $1 and $2 per hour, and that some are compensated in online game credits, virtual money and enhanced video game capabilities. The class may have as many as 4 million members, making it potentially one of the largest employment class actions in history. If the plaintiffs prevail, they will be categorized as employees of the crowdworking company rather than as contractors, and will therefore be entitled to the host of benefits and protections that employees receive. These include a minimum wage and overtime, protections from discrimination, a legally protected right to organize a union, workers compensation for injuries, unemployment compensation for layoffs, certain whistleblower protections and others. The case has advanced past several of the many preliminary hurdles facing such an ambitious lawsuit; however, as this article goes to press, a settlement motion has been submitted for the judge’s approval. If the judge finds that the terms of the settlement are fair to all members of the class, then it is likely that another case will have to address whether the millions of crowdworkers are entitled to the protections and pay of employees. Miriam Cherry, who was organizing an amicus brief by a group of labor law professors before the settlement motion, fears that a judge may not understand crowdwork and simply declare that the workers are contractors. However, she also fears that a judge or legislature will simply regulate crowdwork out of existence. “There’s a lot of ways that things can go right or things can go wrong, and it depends on cases like CrowdFlower to really tell us if they’re going to go right or if they’re going to go wrong,” Cherry says. In mid-November, Henderson turned 53, and two weeks later, on December 1, she moved into a homeless shelter. Presumably it does not have Wi-Fi, so she wouldn’t be able to Turk even if she wanted.